Can't find the Apple Music Windows from Windows 10 APP Store or other download sites? 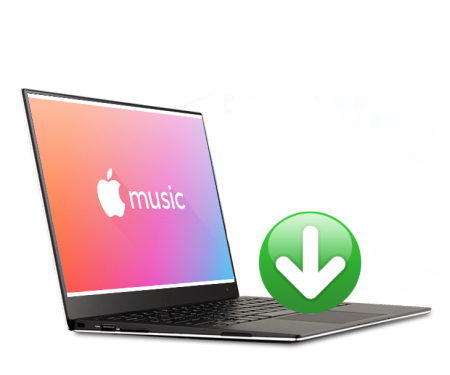 This guide takes you to Apple Music Windows 10 download (Windows 10/8/7 or earlier compatible). Continue reading to find where you can download Apple Music Windows 10 to get Spotify-like music experience on Windows 10 computer. 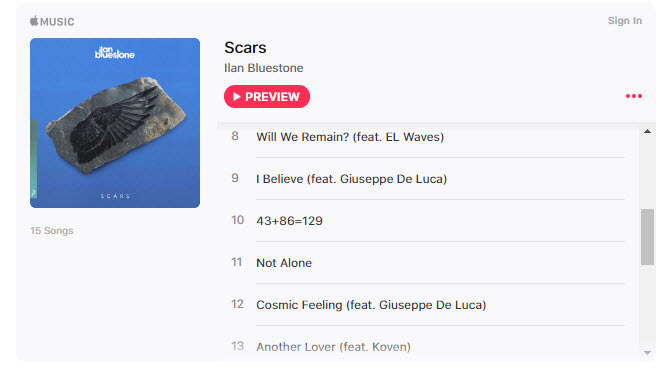 For your ear-pleasing musical enjoyment, this page also features best FIFA World Cup 2018 songs and Official FIFA World Cup songs that continues to top Apple Music charts 2019. Where to Download Apple Music Windows? Apple has an Apple Music Windows equivalent for PC users already – iTunes for Windows. Apple Music is available for iOS and Android devices only, a mobile-only APP. Now that neither Windows 10 APP Store nor 3rd-party download sites have Apple Music for Windows APP, where to find an Apple Music desktop version for Windows 10/8/7? Or is Apple Music Windows available yet at all? 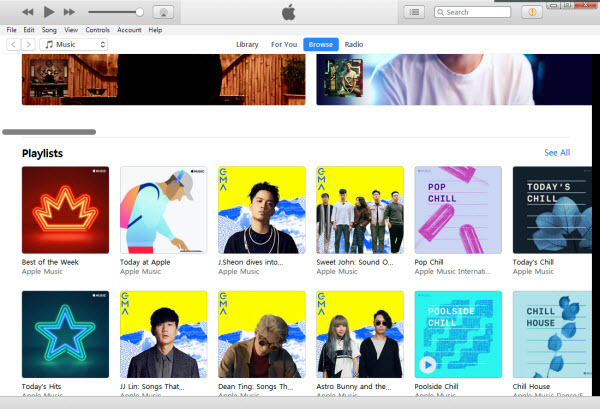 If you're good to go with Apple Music Windows 10 alternatives that may help you listen to Apple Music collections on Windows, following 3 tips will be of great help. Well before WWDC 2018, news about the revamped Apple Music Web Player has been buzzing around alongside the iOS 12 and macOS Mojave. Take a second look at it and you'll find Apple Music Web Player a simplified solution if you're looking for Apple Music Windows, up to now, a simple step like visiting https://tools.applemusic.com/ is going to help listen to Apple Music on computer : Compared to full-fledged music client on Windows such as Spotify or Pandora, Apple Music Web Player allows its users to listen to full music releases on the web browser, instead of a short trial on Apple Music APP. However, if you're expecting more, like browsing category-wide catalog, or creating playlists, or seeing what your friends are streaming on Apple Music, the web player simply won't do. However, downloading music is just as easy as ABC if you stay with 5KPlayer, and the Apple Music Web Player let you enjoy the features of Apple Music on computer if you don't expect too much of it. This is less straight-forward, but if you already are an Apple Music user, and would like to play Apple Music on computer just once in a blue moon, staying with Apple's wireless music streaming function may satisfy you just well: By installing free 5KPlayer on computer, you may take the advantage of Apple's AirPlay function to stream Apple Music from iPhone to computer. 5KPlayer's AirPlay function is one that incorporates Apple's streaming protocol and seamlessly works with Apple Music APP for iOS 12. Once you download and install 5KPlayer for Windows PC, you may use iPhone as a remote and use Apple Music APP's built-in AirPlay function to play MP3 AAC music on Windows computer from the comfort of your heart. From as early as 2015, Apple Music Windows was embedded into the iTunes software for Windows, for as long as you install the latest version of iTunes for your computer, a small-click on the "For You" tab can take you to the Apple Music Membership subscription interface. If you're already a registered Apple Music user, log in with your Apple ID and passcode can take to browse the library and listen to Apple Music on Windows 10 inside iTunes. If you're not yet a paid user, first-time registration gives you a 3-month Apple Music Windows 10 experience as the gift. Probably this is not an ideal choice in that iTunes for Windows is too space-consuming for any Windows users, if you're quite accustomed to iTunes' style of managing iPhone files, stay with iTunes to listen to Apple Music on Windows. If you don't use iTunes for other purposes aside from listening to Apple Music you'd better not choose this method as you do have better options such as the best Music Library Tool for Windows 10 and Mac – 5KPlayer. Play video music MP3 AAC FLAC MP4 MKV etc. in HD. Transfer music between computer and iPhone/iPad. Remove DRM from Apple Music & iTunes movies.